This summer I had the privilege of taking part in Tent: Museums, an awesome art/interdisciplinary program at The Jewish Museum in New York City. A collaboration between the The Jewish Museum, Professor Jeffrey Shandler (chair of the Jewish Studies department at Rutgers), and Tent: Encounters with Jewish Culture, a program of the Yiddish Book Center, Tent: Museums gave me and 19 other artists, archivists, and Jewish and museum professionals an opportunity to “brainstorm and re-imagin[e] the relevance of Jewish museums to contemporary culture.” From conversations with curators at The Jewish Museum to exploring the historic Eldridge Street Synagogue to a behind-the-scenes tour at the Met with Senior Exhibition Designer Daniel Kershaw–along with too many other highlights to mention–it was an incredibly stimulating week. At the end of the program, I and the other participants created and presented artwork, writing, or other work reflecting on our experiences over the course of the week. These presentations are now featured on The Jewish Museum’s blog. Check out the blog post; my illustration and accompanying reflections are third from the top. 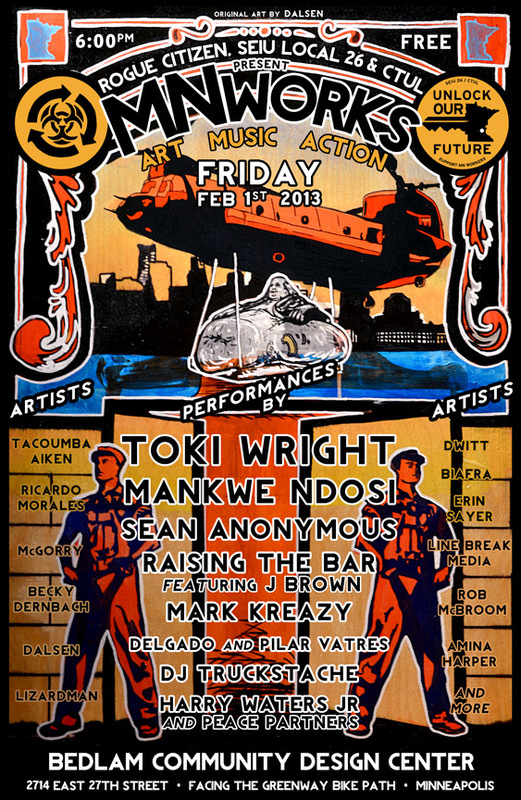 Interested in checking out a new body of work by Eva Rose Cohen along with lots of other great art? Come visit me during the 18th annual Art-A-Whirl in Northeast Minneapolis! Art-A-Whirl is the largest open-studio tour in the country; it’s a free, public event that gives visitors a chance to tour private artist studios and galleries, meet artists, and purchase original artwork. I’m honored to be returning for the second year as a guest artist in the Q.arma Building, one of the Whirl’s main building stops. I’ll be showing a series of new paintings that explore themes of “Love & Struggle,” and I’ll also have hot-off-the-presses original greeting cards for sale along with posters and t-shirts. When: Friday, May 17th – 5:00-10:00 p.m.
Saturday, May 18th – Noon-8:00 p.m.
Free parking is available nearby at the Minneapolis Public Schools building lot (1119 Quincy Street NE). Free trolleys will also be circulating around Northeast throughout Art-A-Whirl weekend. Other questions about Art-A-Whirl? 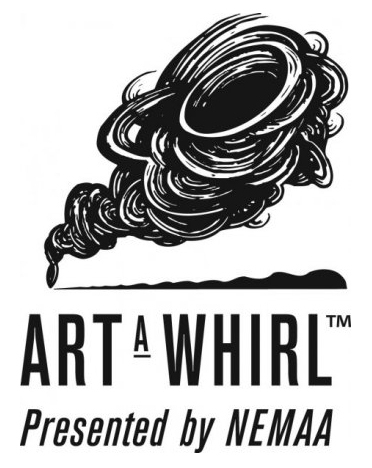 Visit http://nemaa.org/art-a-whirl/faq or https://nemaa.org/howtowhirl. More than 6,000 janitors and security officers have been working without a contract since January 1, 2013. The contracts expired on December 31, but employers are continuing to drag their feet in negotiations. Service Employees International Union (SEIU) Local 26, Centro de Trabajadores Unidos en Lucha (CTUL), and allies across the metro area have mobilized to show the elite corporate 1% that workers deserve living wages and fair working conditions. Join us in this one-night event celebrating the art of labor and justice movements, as part of the “Unlock” campaign to win workers’ rights and better our communities. It’s exciting to have evarosecohen.com up and running–au revoir (I’m a little embarrassed to type this) Myspace! Many thanks to Sam Tape for modding my chosen theme and making all the technical details come together. Everything should be complete by mid-October-ish; until then, cheers!